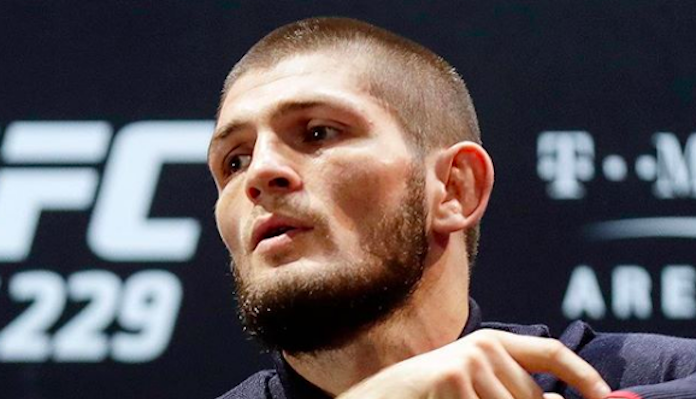 On Tuesday morning, UFC lightweight champion Khabib Nurmagomedov appeared at Plekhanov Russian University of Economics in Moscow, where he partook in a Q&A session with students. Economics, however, was not the main topic of discussion. As it seemingly always does, the conversation drifted in the direction of Nurmagomedov’s arch rival Conor McGregor. “Conor acts like a jealous wife, who says ‘I will leave’ all the time but then comes back,” Nurmagomedov said (via Denis Geyko). Khabib Nurmagomedov also discussed the potential timeframe for his return to the cage. In keeping with some recent comments from Dana White, the lightweight champion Nurmagomedov said he wants to fight in September. That being said, he reiterated that he does not plan to fight before his suspended teammate Zubaira Tukhugov. When do you think we’ll see Khabib Nurmagomedov back in the cage? Who do you want to see him fight next?